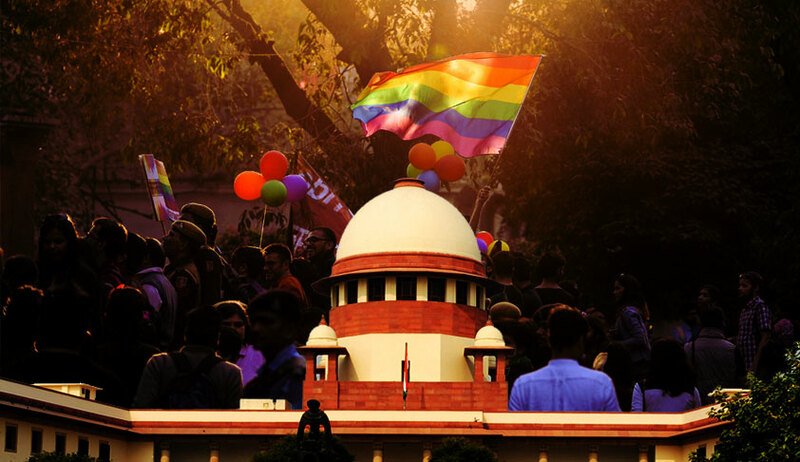 The Supreme Court will pronounce verdict on the petitions which challenged the constitutionality of the Section 377 IPC, which criminalizes homosexuality and non-penovaginal sexual acts between consenting adults. The Constitution Bench headed by CJI Misra reserved judgment on July 17, after four days of hearing. The Court expressed that it will examine whether its is permissible under Constitutional morality to criminalize sexual acts performed by consenting adults. Although the Delhi High Court had struck down the provision in 2009, it was revived by the Supreme Court in 2013 in a widely criticised judgment by a Division Bench of Justice G S Singhvi and Justice S J Mukhopadhyaya. However, the issue resurrected in July 2016, when a fresh petition filed by well-known persons, including dancer N.S. Johar, journalist Sunil Mehra, chef Ritu Dalmia, hotelier Aman Nath and business executive Ayesha Kapur, was referred to Constitution Bench by a Division Bench headed by Justice Bobde. The reference was made on the basis of submission that it was the first time that individuals directly affected by the provision were approaching the Court. The SC judgment in privacy case noting that 'sexual orientation' was a facet of privacy right, brought in a fresh perspective to the issue.